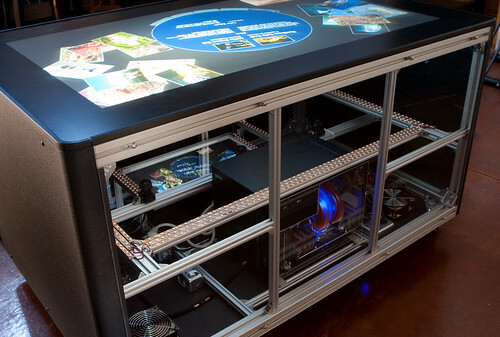 Last week—at the Museums and the Web conference in Denver—our multitouch table bared all. 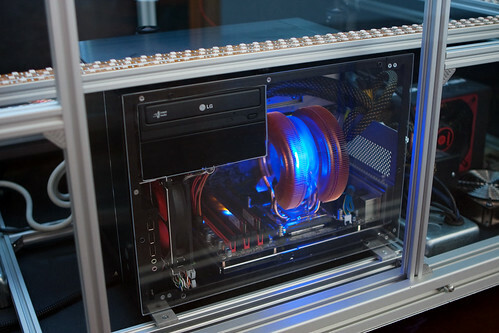 A clear plexiglass side panel allowed conference attendees to see all of the components inside. Ever since we built our first table back in 2008, we have continued to make big improvements. You can see the full specifications for our MT-50 Multitouch Table on our Website. We have pictures from the conference below. If you’d like to see more photos and a short video, check out the Ideum photostream on Flickr. The custom computer got a clear plexiglass panel too. Category: Computing, Conferences, Design, Exhibits, Multi-touch, Multitouch. Tags: flash multitouch, flash software, gestureworks, multitouch DIY, multitouch flash, multitouch table, mw2010.